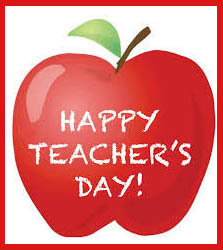 Today is National Teacher Day! Imagine that, on the Tuesday before Mother’s Day we celebrate teachers; and who is the very first teacher of every person who ever lived? Mom! Since the one who teaches always learns the most, it seems fitting to share a bit of what I have learned through motherhood. These are lessons I might not have learned in any other way, because if there was a better way to learn them, God just might not have seen fit to give me children. First: It’s just baby pee! If you have a healthy baby, chances are you will be peed on more than once. And if you have a boy, you just may get sprayed in the face; in your eyes, your nose, or – horrors – your mouth. Yes, there is a very real possibility that you will ingest baby pee. It’s not a big deal. There is nothing to fear. It is not a biohazard. It will not kill you. Nor will it kill your precious little one when you realize it is in the bathwater that they just swallowed. This is simply a part of the season of babies and toddlers and it will pass. It is nothing to lose sleep over, and it will not leave a permanent stain on your clothes or your reputation. Third: Trust me, it’s truly not a big deal. Yes, in addition to your personal wet experiences, your carpet will be peed on. Your furniture will be peed on. Every inch of the bathroom will be peed on. Pretty much the entire back yard will be peed on. And it will happen either just before, or immediately after, company arrives. It is not worth losing your temper over. Everything will dry out in time, including relationships that are saturated in grace. And finally, I can’t say it enough: it’s not that big of a deal. If your child pees in a diaper until he or she is two, three, or four – or as one friend used to say about her child: the peer pressure in kindergarten will be the best teacher – he or she will eventually learn to control when to hold and when to go. It is not worth stressing over. Our time frame is just that: ours. So, is every lesson an It’s Not a Big Deal lesson? No, but most of them are, and yet, that was a hard lesson for me to learn. Every season passes much more quickly than we ever think possible when we are in it; nothing is permanent, and grace is key. God is not overly concerned with our time frames – after all, he has all of eternity to accomplish his purpose in our lives. That is the big deal. In hindsight, nothing is ever as big or earth shattering as we think it is in the moment. What is earth shattering is to understand that God is involved in our lives. God uniquely made each one of us for his good purpose. And he is about the business of teaching us what we need to learn; he teaches us through our moments and our circumstances..
God knows the exact situations we need in order to learn the lessons that we need to learn, so that we can become the people he would have us be. Our lives are not random, and it is not fate that determines whether we have children; or the children that we have. The strong-willed child; I have one of those! The compliant child; I have one of those! Sons – I have two! God knew the lessons I needed to learn in my 20s, 30s, and 40s – well, throughout my life actually – and those lessons are best learned as a boy-mom. My sons are wonderful tools that God uses to refine me. Sometimes they are sandpaper rubbing off rough spots. Sometimes they are polishing cloths buffing up a shine. The comforting thought is that the tool is always held by a loving God. Have you thought of your children as tools in the hand of a gracious God for your benefit? Could it be that God allows – or has ordained – the challenges you face as a mom because in that challenge there is a lesson for you to learn? What is God teaching you as you teach your child? Could it be that your child is the best tool to mature the fruit of the Holy Spirit in you? When the Holy Spirit controls our lives, he will produce this kind of fruit in us: love, joy, peace, patience, kindness, goodness, faithfulness, gentleness, and self-control (Galatians 5:22-23 NLT). As we teach, lead, discipline, and instruct our children in what are right/wrong, appropriate/inappropriate, or acceptable/unacceptable behavior and life choices, we must remember that God has magnificently placed our children and us together to accomplish his wonderful plan in both our children and us. That is an amazingly big deal. Maybe today, on Teacher Day – we should thank our children for the things they have taught us. After all, on Sunday, they will be thanking us for the things we have taught them. Someone is always teaching someone. Looking for a great gift for mom for Mother’s Day? Thanks for your encouraging Words and God’s perspective on Motherhood! I agree that God used our 6 children to teach me many things and grow me as a Christian! I will pass this on to our sons, their wives and to Rebecca who will be experience pee again in October.